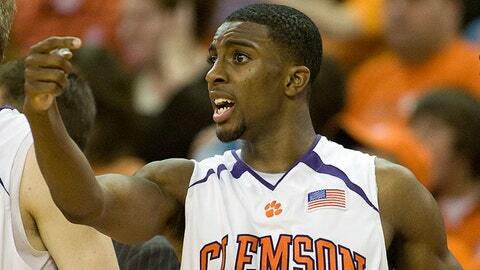 Former Clemson basketball star Demontez Stitt has passed away at age 27, the team announced Monday. Stitt was found dead overnight at his Charlotte, North Carolina home and the cause has not yet been determined. A standout player at Clemson, Stitt played point guard for the Tigers from 2007-2011 and is the only Clemson player to start on four NCAA Tournament teams. He ranks sixth in assists in Clemson history with 419, 10th in steals (164) and 10th in free throws made (344). He made the all-time Clemson men’s basketball team in 2011. Stitt, who averaged 10.8 points per game at Clemson, was not drafted or signed by an NBA team. He played professionally for various international teams, including Hapoel Tel Aviv, Belfius Mons-Hainaut, Maccabi Haifa, Sigal Prishtina and Fuerza Regia Monterrey. He spent last season with Orkide Gediz Universitesi of the Turkish Basketball League, and averaged 19 points, 4.7 rebounds and 5 assists per contest. A number of Stitt’s former teammates and friends tweeted their condolences. My heart aches. RIP @_buddyDAgr8 Will always remember your big smile and competitive spirit. It was a true pleasure to coach you. We lost a special friend, son, teammate, and brother. My thoughts and prayers are with his family.